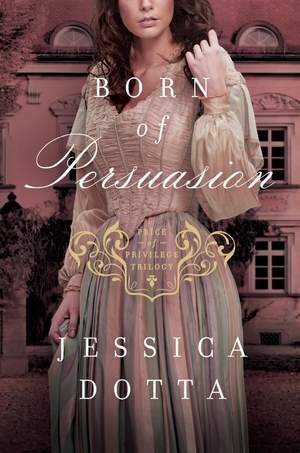 As an unmarried woman in 1838 England, recently orphaned Julia Elliston is left under the care of an anonymous guardian, who plans to carry out his ownership of her by sending her to Scotland as a servant. Desperate to control her own destiny, Julia travels to the estate of her best friend, hoping to reconnect with her childhood beau, Edward Auburn. Finding that Edward has chosen to enter the ministry, Julia (an atheist) is heartbroken and desperate for any match that will improve her social status. But as she entangles herself with the social elite, Julia begins to discover secrets about her family’s past that have serious implications for her future. This is one of the most mysterious and suspenseful novels I have read in awhile. The strong Gothic writing, combined with the elements of Victorian England make for a chillingly grotesque, yet beautifully charming story. I felt myself caught up in the characters, the scenery, the mystery, and the wit. The romance was on the steamier side considering this is Christian fiction, but completely in line with the mood of Romantic and Gothic literature. While it is obvious Dotta is well versed in the classics (e.g. Austen, Brontë, Poe, Dickens, Radcliffe, Shelley), she has her own unique style–and I like it! This is an excellent debut, and I cannot wait to read the rest of the trilogy! This one ended with just enough of the story wrapped up, and much more mystery to look forward to in the coming sequels.